It must have been a long week for senior U.S. intelligence officials. Last Monday, the National Intelligence Council released a new National Intelligence Estimate on Iran’s nuclear intentions and capabilities, essentially reversing the community’s earlier assessment that Iran was pursing a nuclear weapon, a position taken in a 2005 estimate. Before the debris had settled from that bombshell, CIA Director General Mike Hayden announced on Thursday that his agency had destroyed tapes of the interrogations of senior al-Qaida members Abu Zubaydah and Ramzi Bin al-Shibh. Those tapes contained images of CIA officers employing “enhanced interrogation techniques” – that’s CIA-speak for water boarding. Hayden claimed the tapes were destroyed to prevent retaliation against CIA officers in the tapes if they had somehow leaked. The long knives have come out on both sides of the Congressional aisle. Republicans are demanding hearings into the intelligence that led to the about-face estimate of Iran’s nuclear program, hinting that they believe the NIE to be politicized. Democrats, on the other hand, are calling for an investigation and possibly a special prosecutor to determine if laws were violated by CIA’s destruction of the interrogation tapes. At least one senator is charging a cover-up of CIA misconduct in the treatment of al-Qaida detainees. Flash bulletin for Director of National Intelligence Mike McConnell (whom I know and respect): At a time when you are trying to rebuild international credibility and shore up the American public’s confidence in the U.S. intelligence community, you don’t need the perception of incompetence these two incidents are going to generate, nor do you need the explosion of bipartisan witch-hunting that has already started. Granted, Iran is a tough intelligence problem for the United States – I spent years working the Iranian issue in both the signals intelligence (communications intercepts) and human intelligence (source operations) disciplines and can personally vouch for the difficulty in penetrating this target. With no official U.S. presence in Iran, all intelligence must be collected from outside the country or gained from the cooperating intelligence services of other countries (Israel, the United Kingdom, etc). These factors detract from the quality of information we are able to collect and the intelligence we are able to produce. Intelligence, by its very nature, is normally based on incomplete and often contradictory information. Analysts are called on to make assessments with the scarcest of data. Reliable sources with access to required information in Iran are difficult to develop. The 2007 estimate, supposedly based on new information, has been touted by many as an indication of an earlier intelligence failure. If this latest NIE is accurate, it could be viewed as an intelligence success. That said, the question for the intelligence community remains: You were wrong in 2003 about Iraq. You were wrong in 2005 about Iran. Why are you right in 2007? There was probably no worse time for the revelations of the 2005 destruction of the interrogations videotapes. While I generally support the decisions of senior intelligence officials in these matters, I have to take issue with General Hayden. Destroying the tapes to protect CIA officers this is important, or course, but you cannot run an intelligence community on the assumption that information will leak. If so, you would not be able retain any source identification information. The tapes would be useful to prove to the Congressional oversight committees that CIA officers were operating within approved guidelines. The tapes were destroyed in 2005, before Mike Hayden took over at CIA. He did not make that decision, but he now gets to defend it. Good luck. We need accurate intelligence. We need an independent, nonpolitical intelligence community to produce that intelligence. It is unfortunate that these two events – the NIE reversal and the revelation of the videotape destruction – come at a time when the community needs all the credibility it can get. 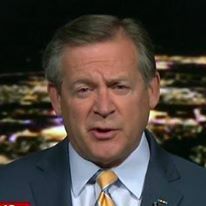 Rick Francona is a retired USAF intelligence officer with over 25 years of operational assignments with the National Security Agency, the Defense Intelligence Agency and the Central Intelligence Agency in the Middle East. He is an MSNBC military analyst. HAMAS seeks a ceasefire - why?